There are going to be more reunions on the set of Paul Feig’s holiday delight, Last Christmas. 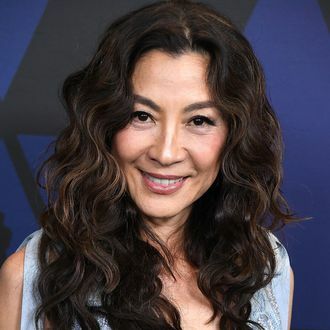 According to The Hollywood Reporter, Michelle Yeoh is joining the cast, bringing her back together with her Crazy Rich Asians co-star Henry Golding (who previously worked with Feig on A Simple Favor). The London-set romantic comedy that has the potential to make you say “Love, Actually who?” is being written by Emma Thompson and Bryony Kimmings, and it will focus on Kate (Emilia Clarke), a woman with questionable judgment who works as an elf at a Christmas shop that’s open all year long. Golding will play Tom, an obviously handsome and maybe “too good to be true” man who comes into Kate’s life and starts breaking down her personal walls. No details yet on Yeoh’s character, and our apologies to anyone who tries to steal scenes from her — especially if there’s mahjong involved.